The vendors and agencies we include in our list below are the top Magento experts working in United States. They strive and grow every day to bring good products and services to merchants which use Magento as an e-Commerce platform for their online stores all around the world. Magento experts work to design, develop, support and perfect Magento-based sites. Millions of issues are being solved everyday thanks to these enthusiasts. All the vendors in United States have been working with many companies and organizations including from small/medium-sized firms to big businesses. Products are developed based on merchant’s needs and requirements with the best services regardless of your company size. Products and services offered by agencies in United States below can be varied in pricing, depending on the what services, versions, editions and your requirements are. Normally, prices are reasonable and flexible for you to choose. Zerolag offers solutions that are stored and managed by Magento merchants. Zerolag is committed to providing your website with the most outstanding and unique features that deliver the highest levels of productivity, reliability and support for your customers. Address: 289 South Robertson Blvd 441, BBeverly Hills, California 90211, United States. 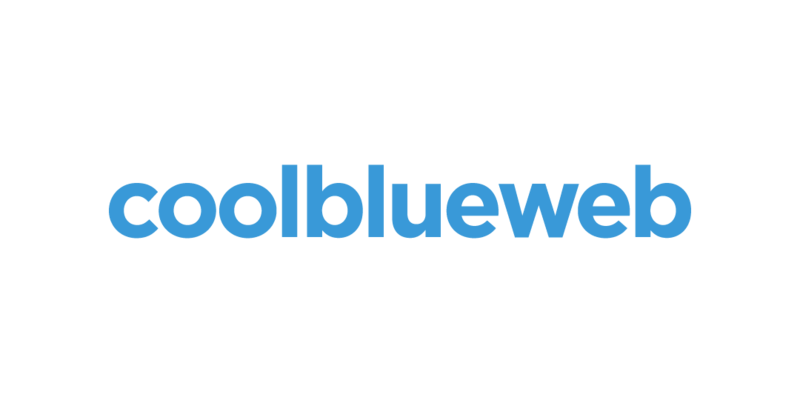 coolblueweb located in Seattle, Washington is one of the best full-service agency. It is suitable for anyone who want to develop the websites and ecommerce stores, particularly on the Magento platform. Address: 315 2nd Ave South 200, Seattle, Washington 98104, United States. Address: 5901 Broken Sound Pkwy NW, Suite 100 suite 100, Boca Raton, Florida 33487, United States. Address: 1980 N Atlantic Ave, Ste 1008, Cocoa Beach, Florida 32931, United States. Address: 35 Corporate Drive Suite 100, Burlington, Massachusetts 01803, United States. Address: 1875 Campus Commons Dr., Reston, Virginia 20191, United States. Address: 2516 Jane Street Suite 204, Pittsburgh, Pennsylvania 15203, United States. Human Element is a provider of integrated e-commerce technology and solutions for businesses. We have technical skills, creativity, and business experience to help online stores, branding sites achieve their business goals. Address: 617 Detroit Street Suite A, Ann Arbor, Michigan 48104, United States. Address: 5646 Milton St 100, Dallas, Texas 75206, United States. Address: 3 Bethesda Metro Center, Suite 700, Bethesda, Maryland 20814, United States. InteractOne is a specialized provider of development and marketing, and they are recognized in the Magento community for their technical capabilities. InteractOne helps merchants achieve their e-commerce goals. Address: 4665 Cornell Road Suite 255, Cincinnati, Ohio 45241, United States. Address: 133 Bellevue Ave, Penndel, Pennsylvania 19047, United States. Address: 2312 Center Hill Dr Suite A, Opelika, Alabama 36801, United States. Address: 701 Corporate Center Suite 350, Raleigh, North Carolina 27607, United States. Binary Anvil such a winner of Spirit of Excellence Magento exclusive, it specializes in eCommerce and all types of integration. 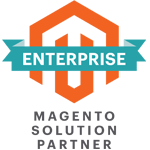 Furthermore, Binary Anvil provides the solutions for Complex M2EE and business software stack integrations. Address: 22525 SE 64th Place Suite 257, Issaquah, Washington 98027, United States. Address: 145 Williman Street, Charleston, South Carolina 29403, United States. Address: 4064 S Lone Pine Ave, Springfield, Missouri 65804, United States. Address: 1651 N Collins Blvd Ste 310, Richardson, Texas 75080, United States. Such as a 2016 Magento Partner of the Year, EYStudios help thousands of clients on premier eCommerce design and development agency by specializing in branding, merchandising, etc. Address: 114 TownPark Drive Suite 100, Kennesaw, Georgia 30144, United States. 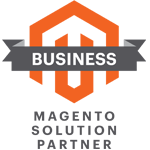 Guidance providing comprehensive commerce solutions to B2B and B2C is Magento's 2016 Digital Commerce Partner of the Year branded manufacturers and retailers. Address: 4134 Del Rey Avenue, Marina del Rey, California 90292, United States. 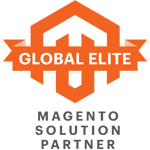 Such as Magento Enterprise Partner, ISM with 400 + specialists who will bring the flexible services such as strategy, marketing and technical e-commerce professionals in 10 countries internationally. Address: P.O. Box 3004 HA Van Nelleweg 1, Rotterdam, 3044 BC, Netherlands. Address: Steenweg op Zevendonk 149, Turnhout, Antwerpen 2300, Belgium. Address: One Broadway, 14th floor, Cambridge, MA, Massachusetts 2142, United States. Address: 550 Continental Blvd. Suite 130, El Segundo, California 90245, United States. Address: 3040 E. Ana Street, Rancho Dominguez, California 90221, United States. Paradoxlabs was founded in 2002. 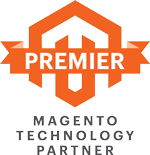 This is an innovative partner providing the most excellent solutions on Magento. With more than 15 years of experience in the field of e-commerce, Paradoxlabs has achieved much success. Paradoxlabs always works hard every day to help its clients achieve their business goals based on the best efforts and support from Paradoxlabs staff. Address: 8 North Queen Street 9th Floor, Lancaster, Pennsylvania 17603, United States. Address: 9 Thurber Blvd, Smithfield, Rhode Island 02917, United States. Address: 1955 Vaughn Road Suite 108, Kennesaw , Georgia 30144, United States. Address: 2222 N Farwell Avenue Suite 200, Milwaukee, Wisconsin 53202, United States. 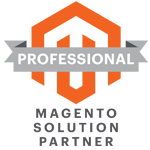 Trellis is a provider of Magento web design, development and web development services. In addition, Trellis includes high-quality staff in the United States. We always serve our customers at any time and solve all the difficulties that our customers are facing. Address: 42 High Street Suite 1, Medford, Massachusetts 02155, United States. Address: 545 Bedford Street, Stamford, Connecticut 06901, United States. 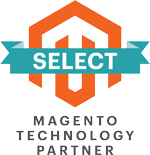 Perficient has just won Magento's 2017 Best B2B Implementation winner for the full-service digital commerce, Perficient can bring the creative and technical expertise to help the world's leading enterprises. Address: 311 E Chicago St, Suite 520, Milwaukee, Wisconsin 53202, United States. Address: 3045 Miller Road, Ann Arbor, Michigan 48103, United States. Address: 13121 SE 47th street, Bellevue, Washington 98006, United States. Address: 5360 Legacy Drive Suite 160, Plano, Texas 75024, United States. Address: 555 Maryville University Drive, Suite 600, St Louis, Missouri 63141, United States. Address: 2021 S. Westgate Ave., Los Angeles, California 90025, United States.